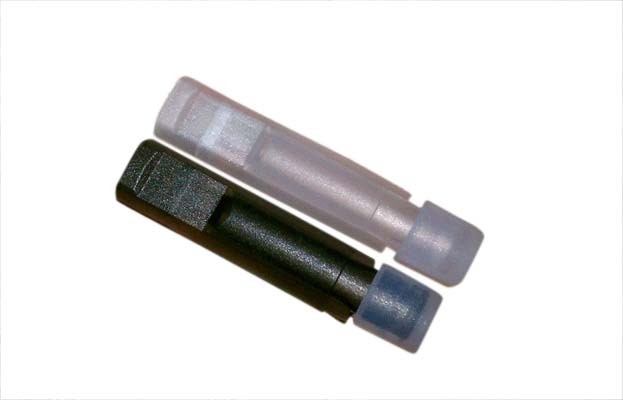 These are empty semi-transparent Joye 510-T XL tank cartridges for Joye 510-T. These are not Joye Tech products. There is no tissue or poly-fill fiber inside. Each empty 510-T XL tank cartridge can carry about 0.7ml of e-liquid. These empty semi-transparent 510-T XL tank cartridges will only function with the Joye 510-T atomizer! To fill, insert cartridge into atomizer and press until tank seal is punctured. Remove cartridge and fill the tank through the hole in the center. A syringe may make this easier. Some may prefer to completely pop the tank cap off. e-Liquids which contain all or a mix of VG may not feed very well in the 510-T system.